A Modern View: The world around you is just echoes to your own self-esteem. The world around you is just echoes to your own self-esteem. Hit me again the other day - confidence is independent of what happens around you. "The world is what you think it is." So says the oldest known philosophy we have (Huna). And this is backed up by many others. 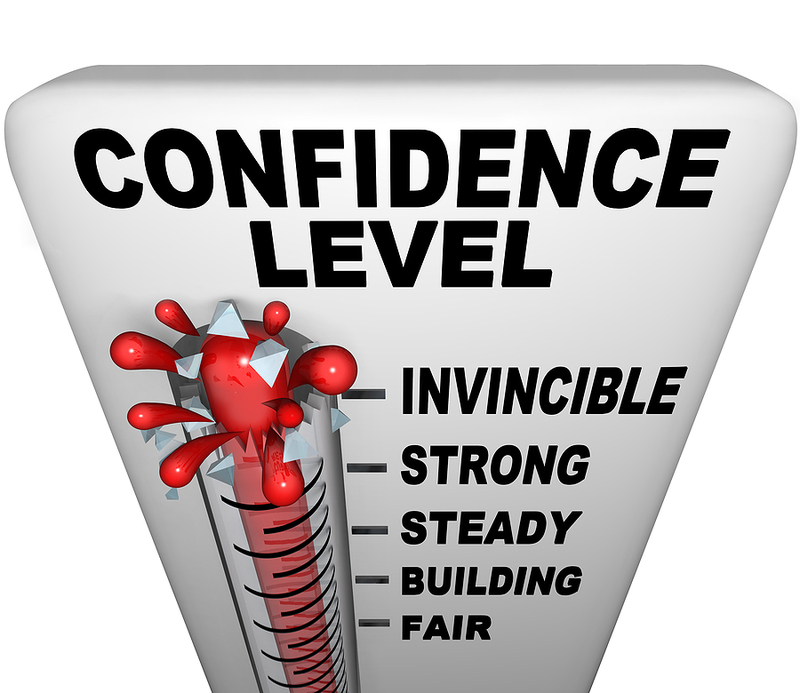 Confidence is self-generated, and takes practice, according to Napoleon Hill. He has it in his Chapter 3 on Faith. “Ac­tion seems to fol­low feel­ing, but re­ally ac­tion and feel­ing go to­gether; and by reg­u­lat­ing the ac­tion, which is under the more di­rect con­trol of the will, we can in­di­rectly reg­u­late the feel­ing, which is not. “Thus the sov­er­eign vol­un­tary path to cheer­ful­ness, if our spon­ta­neous cheer­ful­ness be lost, is to sit up cheer­fully and to act and speak as if cheer­ful­ness were al­ready there. If such con­duct does not make you feel cheer­ful, noth­ing else on that oc­ca­sion can. “So, to feel brave, act as if we were brave, use all of our will to that end, and a courage fit will very likely re­place the fit of fear ”. That is using your own action as a necessary crutch. Levenson's releasing and Silva's Active Meditation both work to create a point of release where you can simply assume a confident state rapidly (split-seconds, if you want). And then, because you are confident, things tend to go the way you want. If you've been visualizing all along what outcome you expect, then you can simply apply Nightingale's attitude of Calm, Cheerful, Expectancy - and all turns out swimmingly. You get exactly what you think.